The time has come for the teams taking part in the men’s and women’s Youth Olympic Futsal Tournaments Buenos Aires 2018 to find out who they will be facing in the group phase. The two competitions will each comprise ten teams, drawn into two groups of five. The ten teams in the draws for each competition will be drawn from the same pot. The men’s teams will go into Groups A and B and the women’s into Groups C and D.
The only team that already knows where they are going in the draw are Argentina in the men’s tournament, who, as hosts, will occupy position A1. Given that no two teams from the same confederation can be drawn in the same group, in line with FIFA’s guiding principle, the balls will be colour-coded, with each confederation being represented by a colour. As Africa (CAF) and Oceania (OFC) have only one representative in each tournament, their balls will be the same colour. 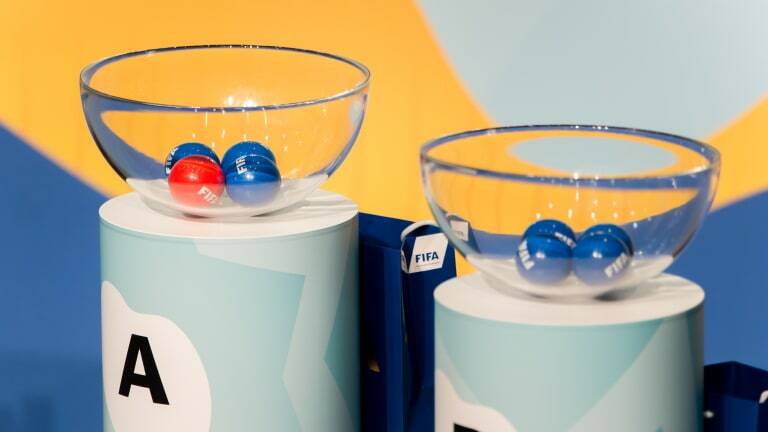 The men’s draw will begin with a ball being drawn from the pot and allocated to Group A, with the other ball of the same colour then being allocated to Group B, and so on until the two groups of five are completed. The draw for the women’s tournament will follow the same procedure, but with the teams being drawn into Groups C and D.
- Buenos Aires 2018 is the third Summer Youth Olympic Games and the first to feature futsal. - The tournaments will be played at two venues: the Futsal Main Stadium (Tecnopolis) and the CeNARD. - This is the first Olympic Games in history to be held in the Argentinian capital.